Smart moms have smart kids who also need mental stimulation. Here's a list of my favorite items I've given to my sons, nieces, and nephews. All are inexpensive so not to spoil the child. Sort of like Legos for young Electricians. 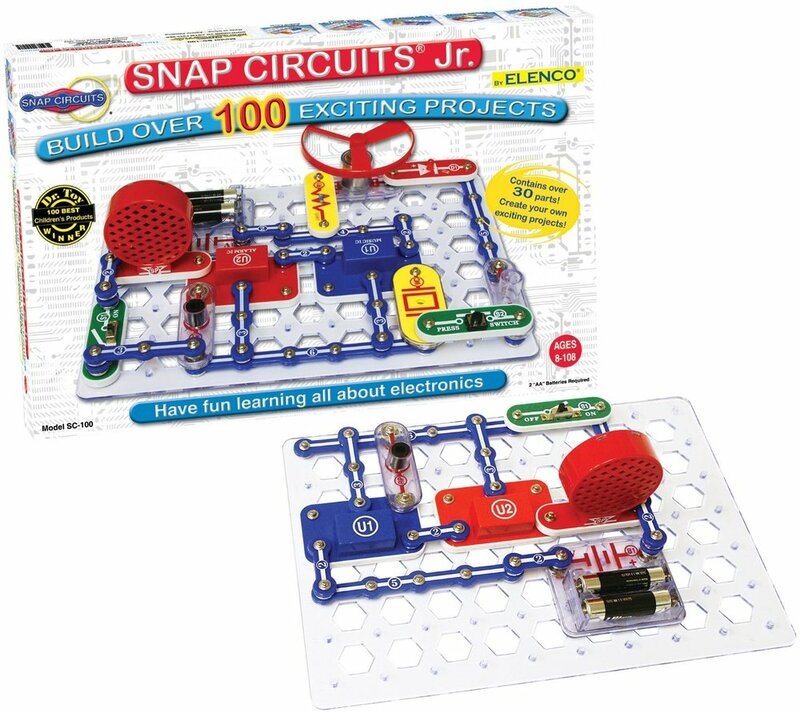 Kids learn about batteries and build working circuits to spin fan, turn on lights, and play sounds. Easy enough for kids to follow the instructions on their own but challenging enough and still fun. This is the least expensive with more complex sets increasing in price. Personal note: My 6 year old son loves this and plays on his own for at least an hour at a time. Ask Alex anything. Similar to OK Google and Siri, this is a voice controlled device with small speakers. Alexa can set an alarm to wake up the kids. 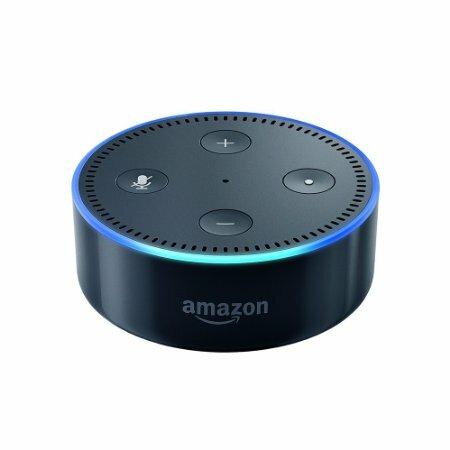 Alexa can play games, tell jokes, and connect to Spotify/Amazon Music to play songs. Alex can control the lights and answer any question. All requests are recorded in the Alexa app. Personal note: My sons love this, particularly because they are too young to be able to type yet (and thus use Google). They ask how to spells words, request Weird Al songs, and play a 20-question animal game with her. Super easy science experiments to do with your kids. Easy enough for a 2 year old and fun for a 6 year old. Personal note; My sons beg to have "science time" where we pick a card and do the experiment. They love putting on the goggles and pretending to be precise. This kits grows caterpillars to butterflies in your living room! Kit comes with a net and container of 5 larvae. Both children (and parents) can watch each caterpillar eat, form a chrysalis, incubate and turn to mush, then emerge as a butterfly to be let free. Note: don't buy live larvae during winter so you can free them. Personal note: My nieces had "butterfly parties" where they invited friends over to release them. My niece loved this so much that she let the butterflies out to land on her sleeves in her room. They all adored this! High resolution stickers get kids loving art! These books are pure stickers from small to extra large sizes and are perfect for augmenting original drawing they create. Eyelike stickers are mostly related to nature such as animals, food, bugs, and fish. DK Publishing has stickers for Disney, movies like Indiana Jones, animals, trucks, Legos, dinosaurs, and anything you can think of! Personal note: My sons absolutely love stickers. I set up creative time where I take out markers and these stickers they go to town drawing elaborate ocean scenes and whatever inspires them. Kids love markers! They are better than crayons. Even if they get color all over their nose, they are washable so it doesn't matter! Personal note: My sons think that markers are more special than crayons. They love the smelling each marker and really take pride in the permanence that using markers brings. This is an unusual scavenger hunt for kids. Your kids have fun finding random items like something that is stick, nine circles, something curved, etc. Then the found items must be altered with ideas such as adding stripes, making it look magical, make a copy, etc. This is sure to get the child off the couch and around the house and backyard searching and being creative. Keri has other creative books for older kids. Personal note: My 6 year old is getting this in his Easter basket. Super fun game that interests kids of all ages. High res random pictures are fun and teach reading for the younger kids. The older kids can enjoy this game too. The premise is to get rid of all your cards by slapping them on the pile first. Personal note: We have so much fun playing this as a family. My 3 year old loves the pictures and assists my 6 year old who can actually follow the rules. Great for pranking the kids or opening their horizons and palates. It's so cheap you won't feel bad if they don't eat it. There are all kinds of edible bugs like larvae, tarantulas, and scorpions dried and inside lollipops. Personal note: Can't admit to tasting these myself but my nephew enjoyed the sour cream & onion! Filling the feeders and watching the birds that come is a simple joy that most people miss. Fill a few feeders and you will see a variety of wild birds who can entertain you all day. It's like watching a high school hallway! The Pederson Field Guide to Birds is simply the best guide to birds, showing maps of where a particular species live and migrate as well as appearances of males and females and their song. Kids will enjoy trying to find the bird they saw in the book. Different birds will be attracted depending on what kind of food you put out and how high you place it. Placing seed on a third story window will attract different birds than a bottom branch tree feeder. Provide seed in feeder for smaller birds like sparrows, suet in cage for larger birds like cardinals, and sugar water in feeder for hummingbirds. In our backyard we have seen: American Robin, Blue Jay, Northern Cardinal, White-Throated Sparrow, Common Grackle, Red-Winged Blackbird, European Starling, House Sparrow, Dove, Red-bellied woodpecker, White-breasted Nuthatch, and a Black-capped Chickadee. Perfect for the child that loves to color and draw. They can decorate the template of the-shirt or dress with any colors or designs and a few weeks later they get their custom clothing in the mail. Personal note: My niece absolutely loves her dress!